I love seeing how animals react when they know something is for them, at first Aragón had no clue as to why I was sitting him next to a box but 0.2 seconds later when he had a sniff and turned around that was it, photo session was over! In July's Scooby Box they included five items. 3 Snacks and 2 toys. I love that they do a mix of both as you get the best of both worlds that way. 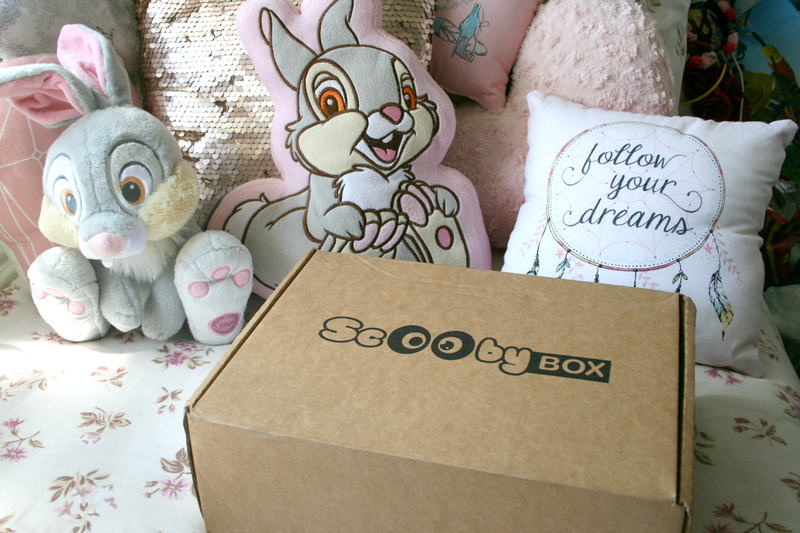 Scooby Box have three different subscriptions to choose from, a one month, three month and a six month each varying in price. I chose the 1 month subscription to try it out first and I was pretty impressed! Onto what they included in this months box, as you can tell Aragón was pretty excited to see what was inside. 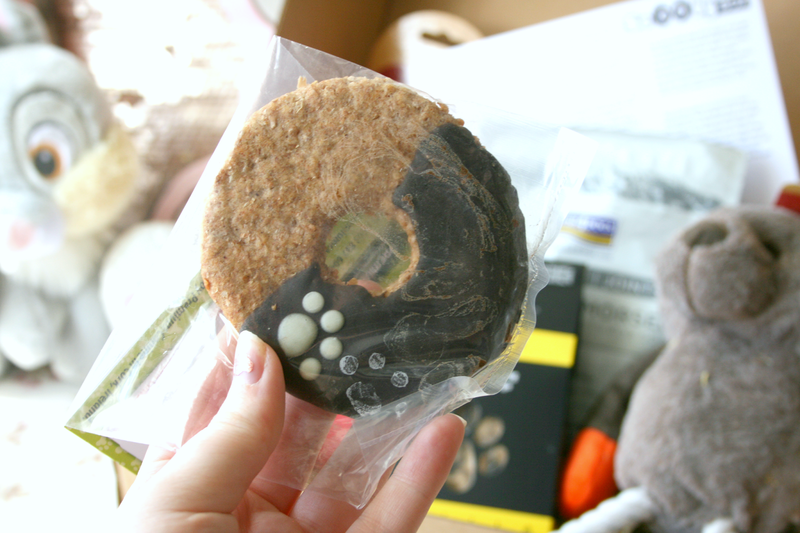 Can we talk about how cute this Doggy Doughnut is!? I swear I took 101 photos of it when I first seen it inside the ScoobyBox. I have actually yet to feed this to Aragón as I have a whole photo idea in my head using this but I just have to wait for the sun to re-appear so I can actually do it and allow Aragón to finally have it. However when he did first see the box he started sniffing at this like crazy, I had to take it off him as I didn't want him breaking it before any photos were taken. Just as we were running low on treats to help potty train Aragón, ScoobyBox treated us to a box and a bag to continue helping us along the way. 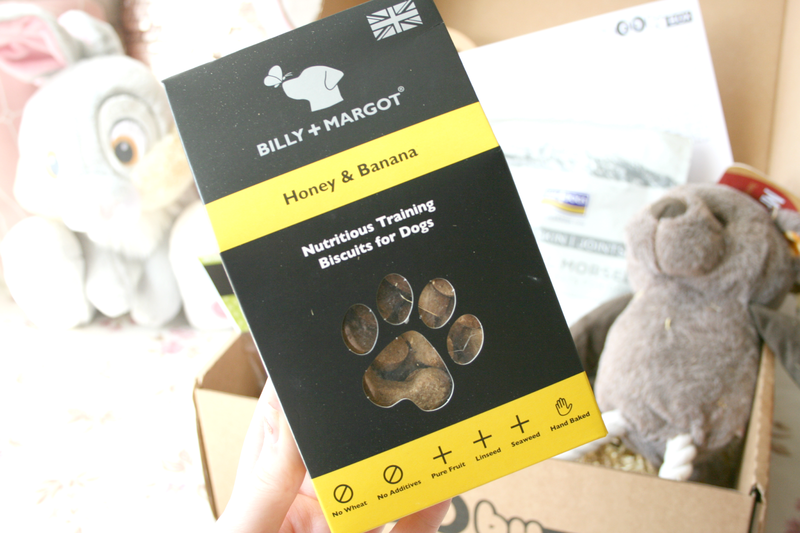 These Honey and Banana treats are great for rewarding Aragón when he goes to the toilet on his puppy mat. These are about 10 times the size of the puppy treats we were feeding him meaning he actually has to chew them and can't just swallow them. He absolutely adores them though and I would say he'd sit and eat the whole box if we allowed him too. 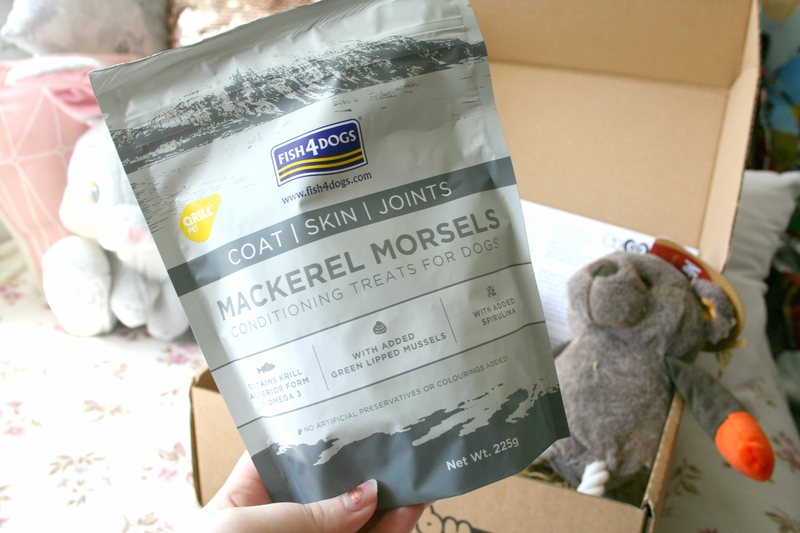 The other packet of treats included were these Mackerel Morsels which he absolutely adores! They're shaped like little fishes and he goes absolutely crazy when he sees you pick up this bag. Out of both packs these are definitely his favourite and I really like how they're good for his coat,skin and joints. The joints part especially because he's a Husky. I've actually went onto the brands website of these treats and I'm thinking of ordering him a few more bags of these just because I really like that they also benefit the dog. Of course no Dog could be complete without a squeaky bone! This gigantic one included in ScoobyBox Aragón was actually unsure of the first day. But now he runs around the garden with it in his mouth and it's so funny as it's so much bigger than his little face. Also it's really loud..like really loud. So much so that when he continues squeaking it at night time I kinda want to throw it outside. Finally his favourite out of the box, Mr Twister the teddy bear. Aragón adores teddy's and his collection is just growing every week. This fellow he took to straight away and he loves to play and sleep with him. He also has a squeaker inside his tummy and his legs are twisted giving the dog something to chew on! Over all I'm so happy with what was included inside and Aragón absolutely adores them all. I really like that the treats included are all good for your dog and don't contain any of the nasty things you want to avoid giving them. Of course Aragón is absolutely crazy about the treats included and if he sees you going anywhere near either of them you can bet he's sitting beside you expecting to be handed one. 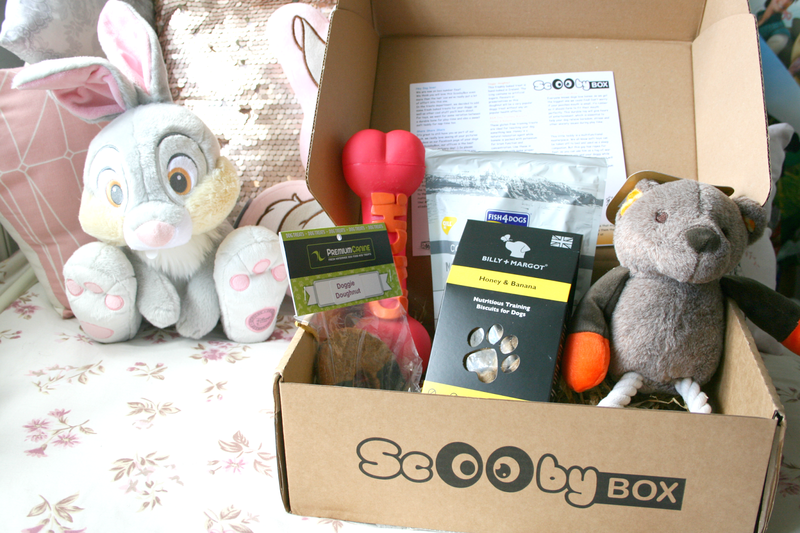 I had only signed up for a one month subscription to give ScoobyBox a try as they had a deal on, but after being so impressed I'm actually going to sign up for a longer subscription and I cannot wait to see what they include in the next one! 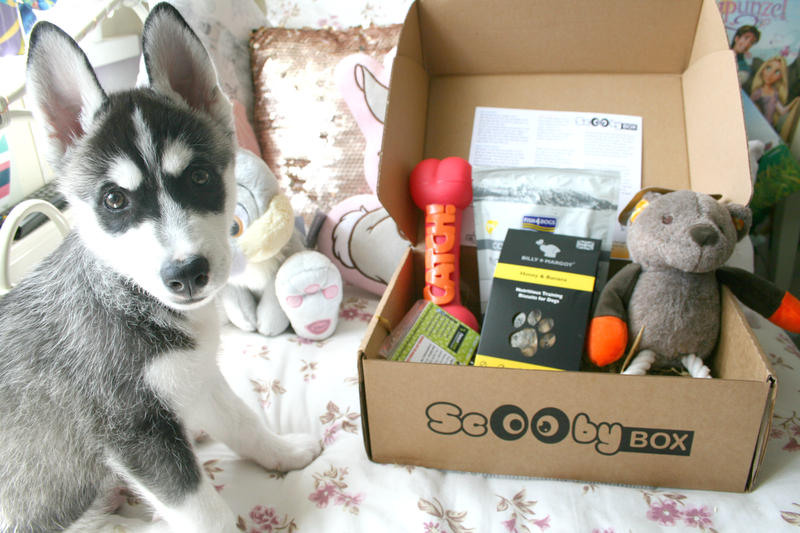 ScoobyBox is available for all your pups living in the UK and Ireland and I have a 25% off code you can use off your order. Simply just enter DARLING at checkout and you'll get 25% off your subscription! 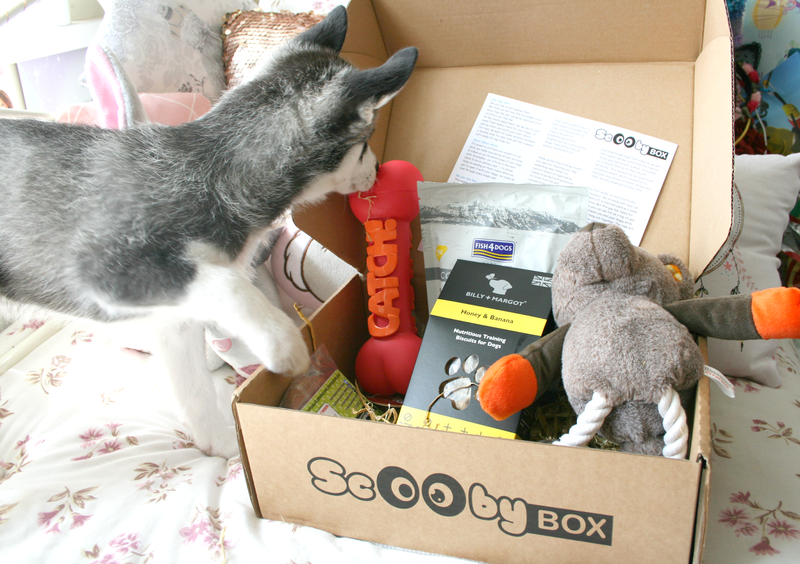 Have you signed your pets up for a subscription box? I've tried a couple for my wee dog but never keep up with them as I like the beauty boxes for myself... selfish haha! This looks so cute though and love the name of it - will need to order one for my wee pooch. He is stunning!!! Such a lovely dog. Nice to see a post on the doggie subscription box as I keep debating getting one for Zac but don't want lots of left overs unused items (like I had with beauty boxes). Zac loves toys and treats so this one might be pretty much perfect with the ratio! You're dog is just the cutest! I feel like my dog would love this far too much haha, he is already so spoilt though but this is such a great idea, I love it!